Sixth-placed Kasimpasa take on fifth-placed Goztepe in the Super Lig on Friday. Both sides have the surprise in-form teams so far this term but we are only seven games into the campaign so it is still probably a little early to call either outfit title favorites. Kasimpasa and Goztepe are tied on 12 points and could join leaders Galatasaray on 15 points. The Istanbul based outfit have Mbaye Diagne available. The star striker has been directly involved in nine goals in seven games for Kasimpasa – eight goals and one assist in the league. Leeds United have been scouting Diagne since first holding talks with his agent Ediz Balkan over the summer. The powerful striker was targetted by Leeds United, Reading and Hull City [Turkish-Football] over the transfer window. Diagne was unable to complete a move to England due to not having a work permit but he will have an EU passport in 2018. 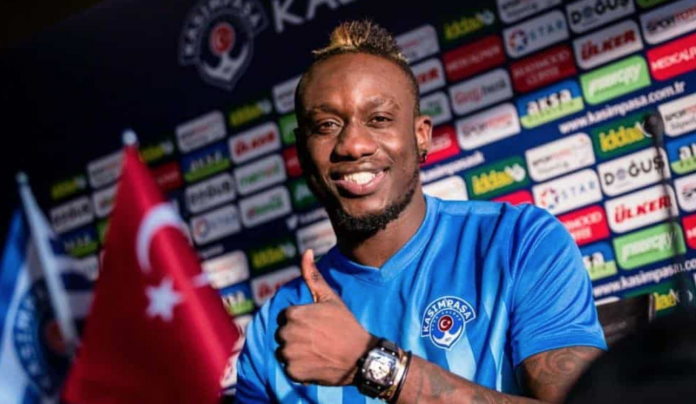 A source close to Kasimpasa revealed to Turkish-Football that they expect Leeds and several clubs from England and Italy to scout Diagne tonight. Kasimpasa will be without Abdul Rahman Khalili but have a full-strength squad otherwise. Goztepe will be without Kerem Atakan Kesgin and Kadu due to injury while Halil Akbunar is a doubt.